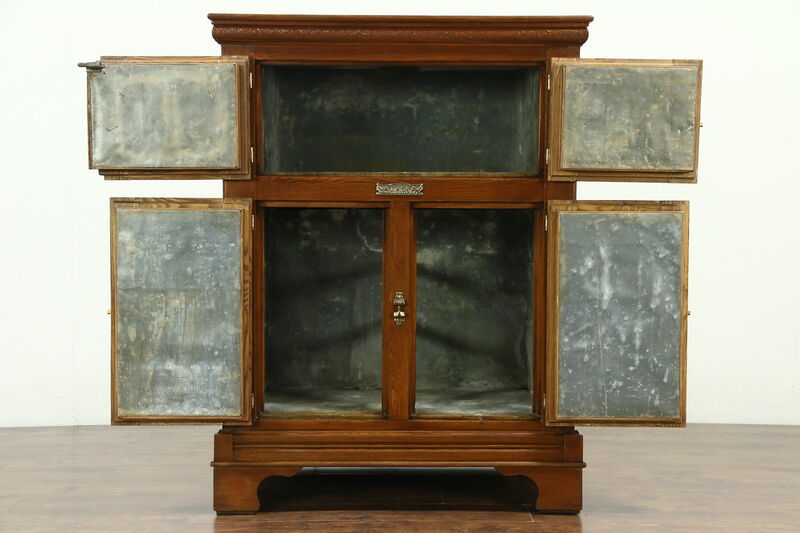 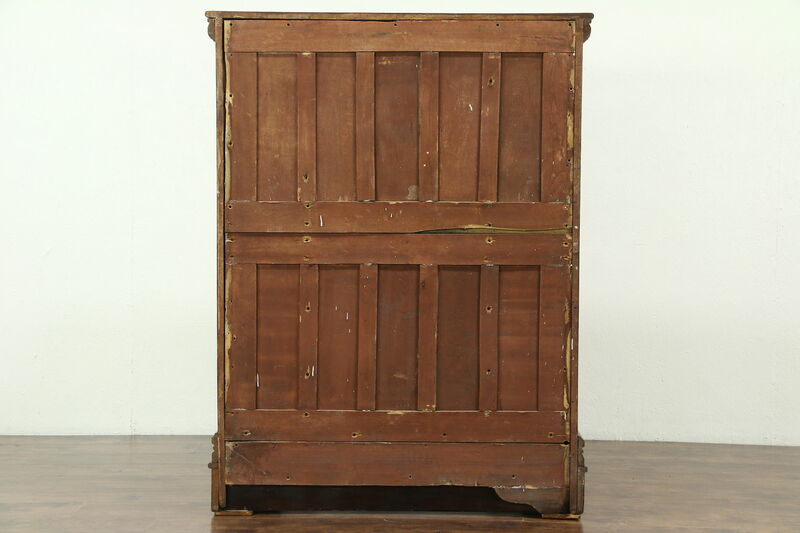 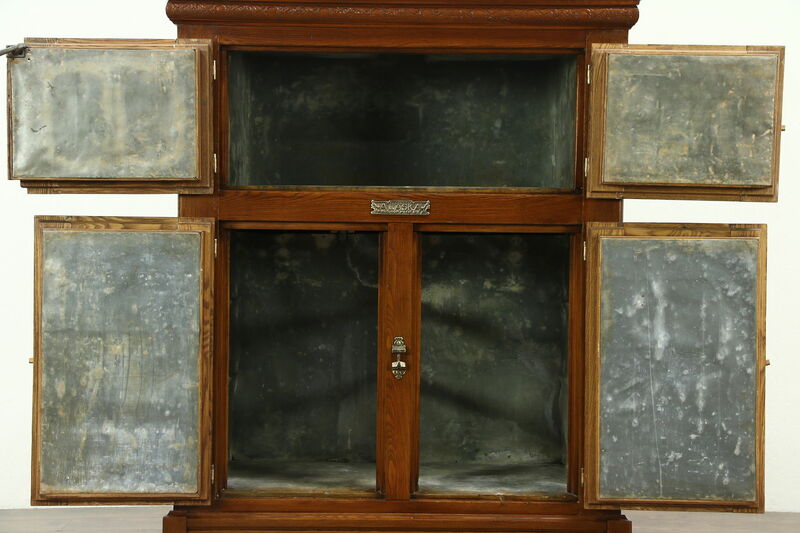 A large Victorian antique ice box signed "Alaska" or refrigerator from before electricity was carved of solid oak and ash in the 1880's. 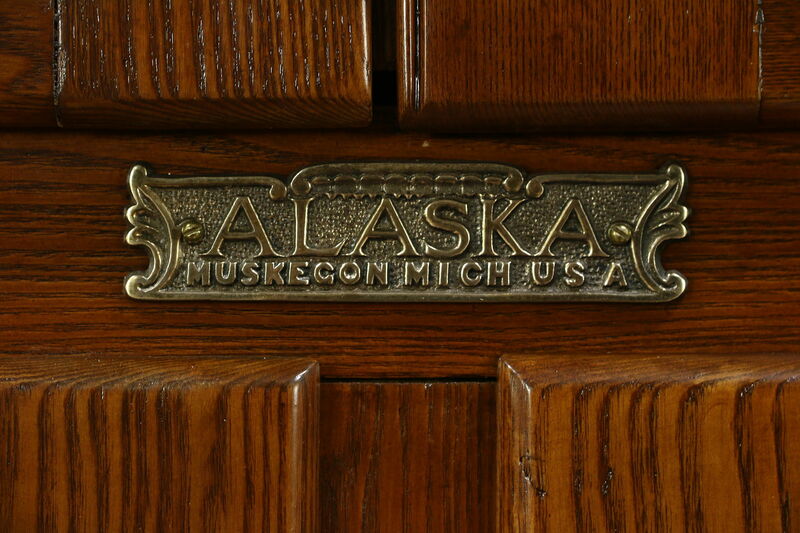 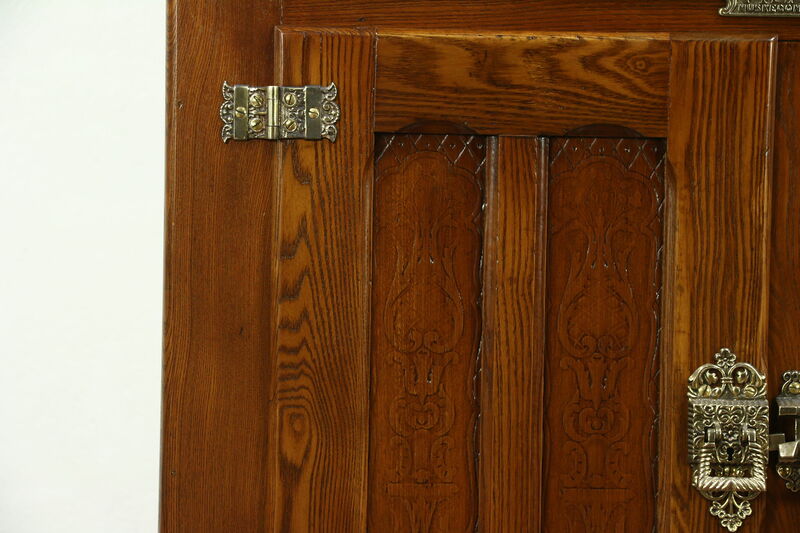 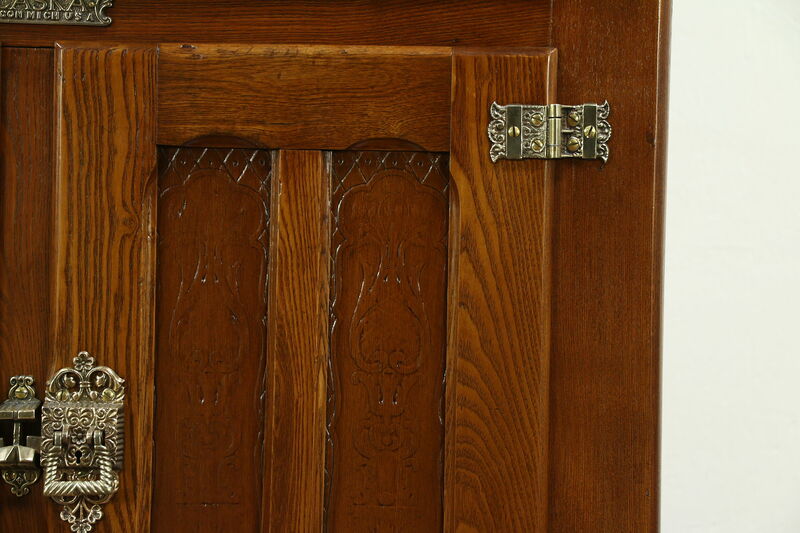 "Press" carving, deep moldings and paneled doors and sides are beautiful. 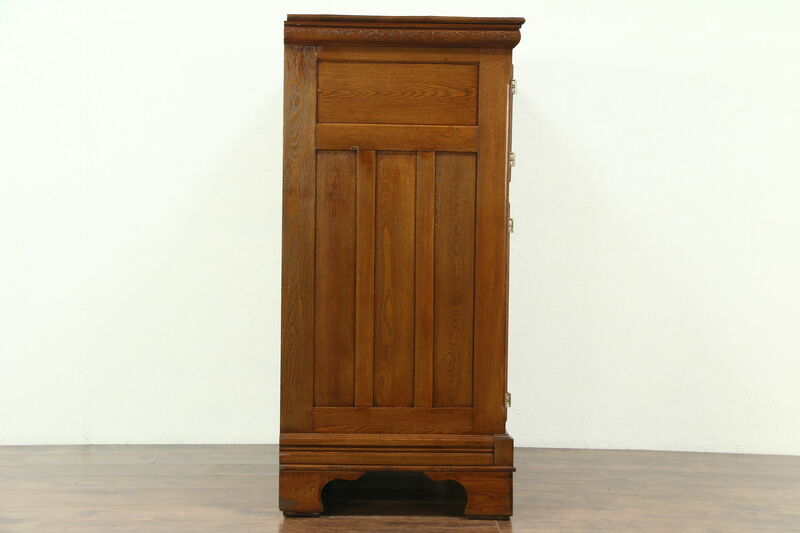 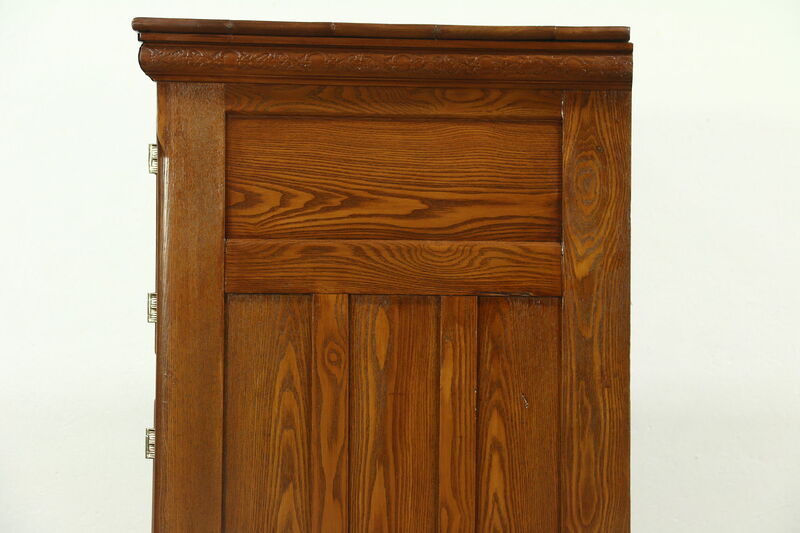 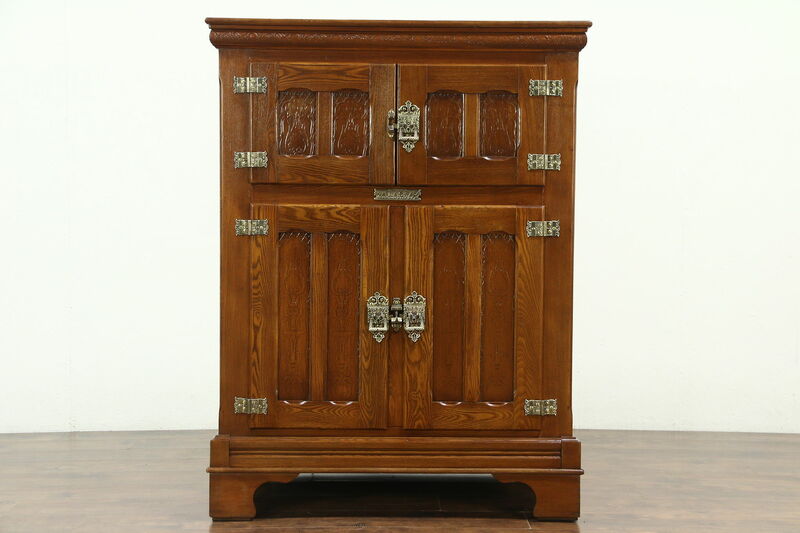 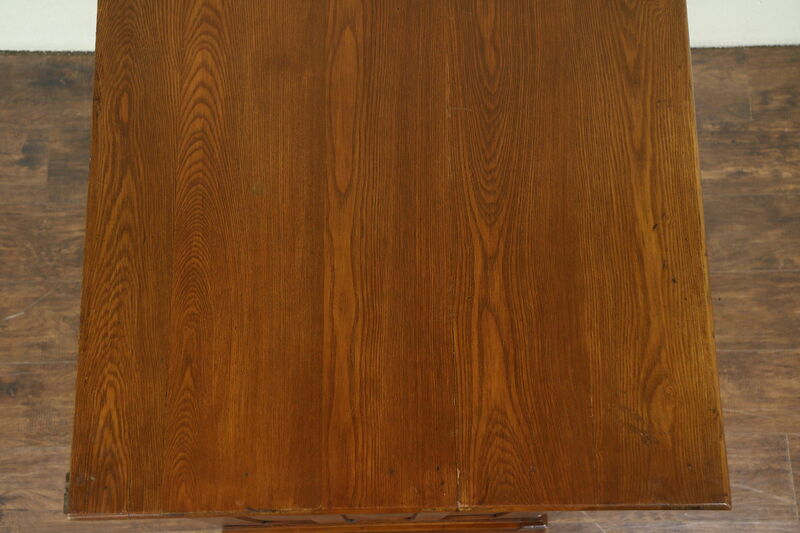 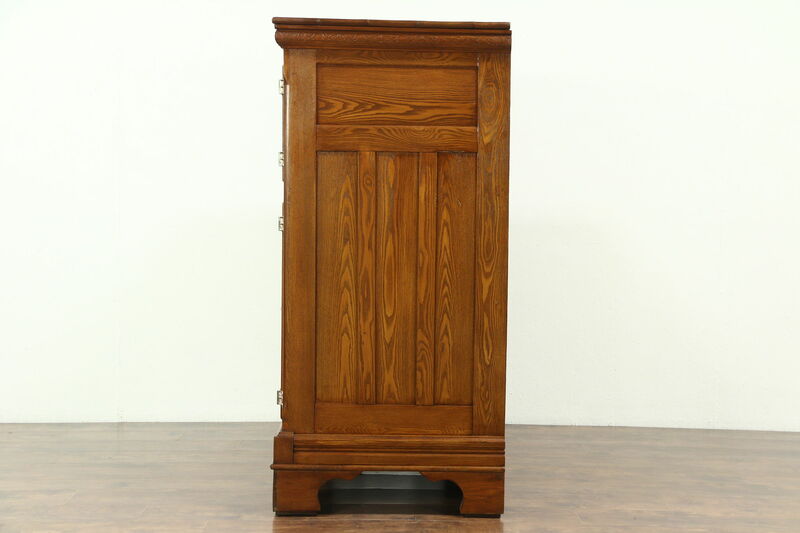 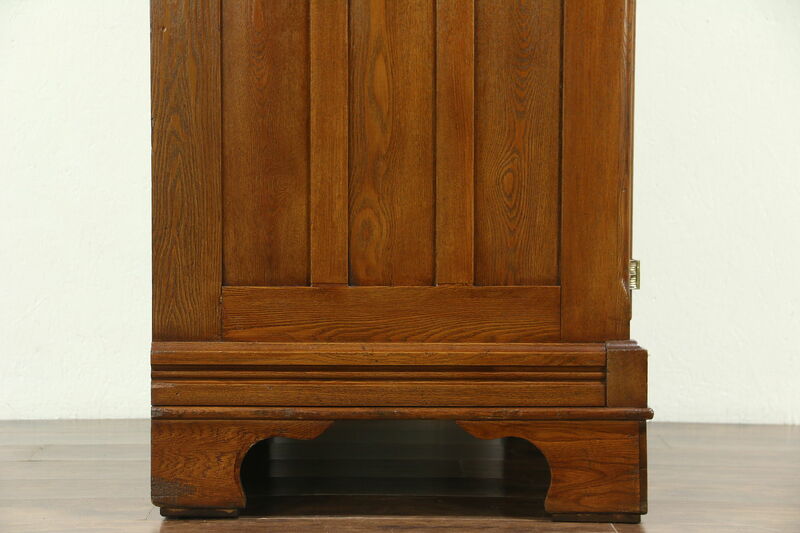 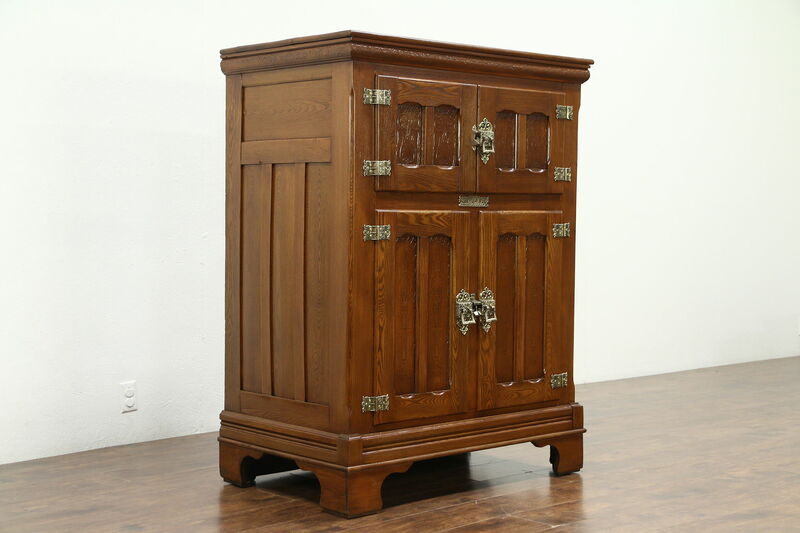 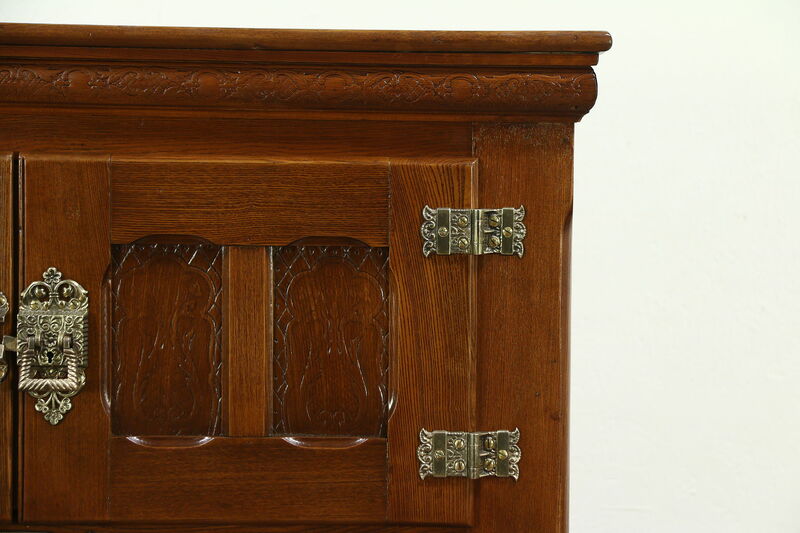 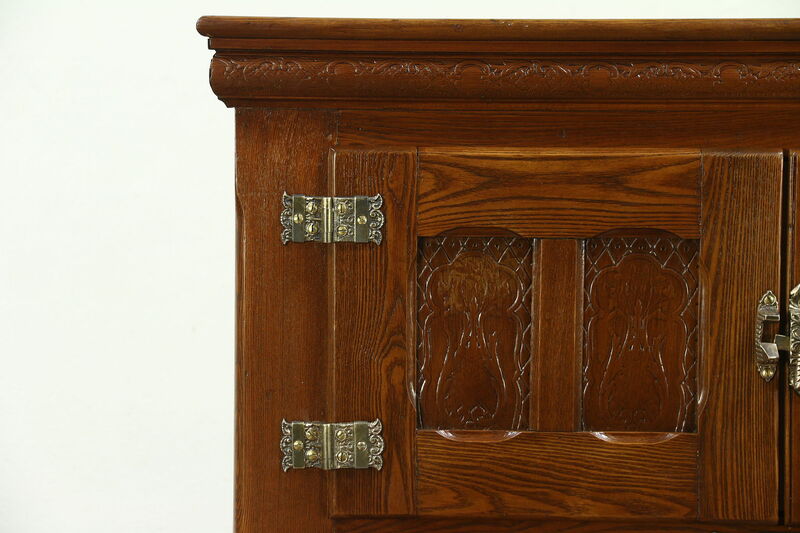 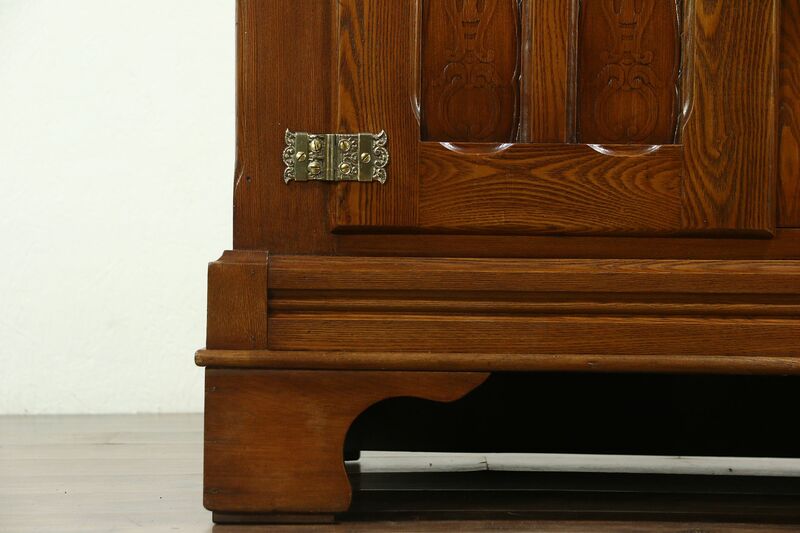 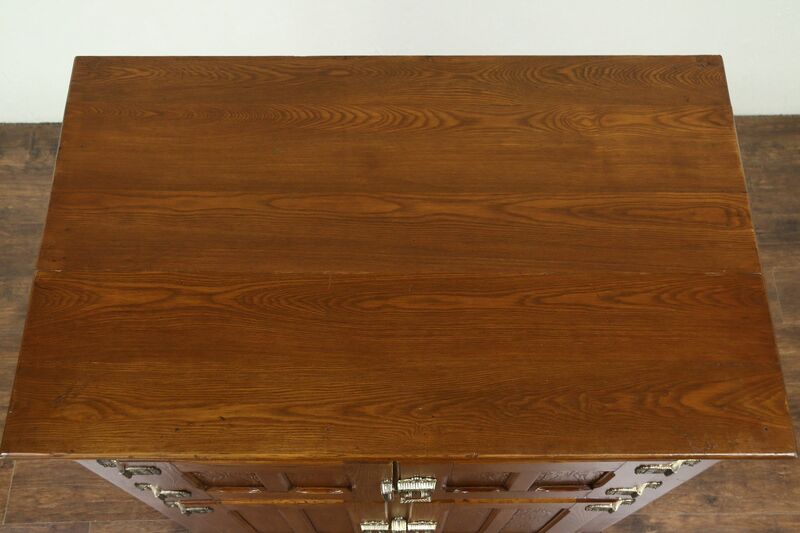 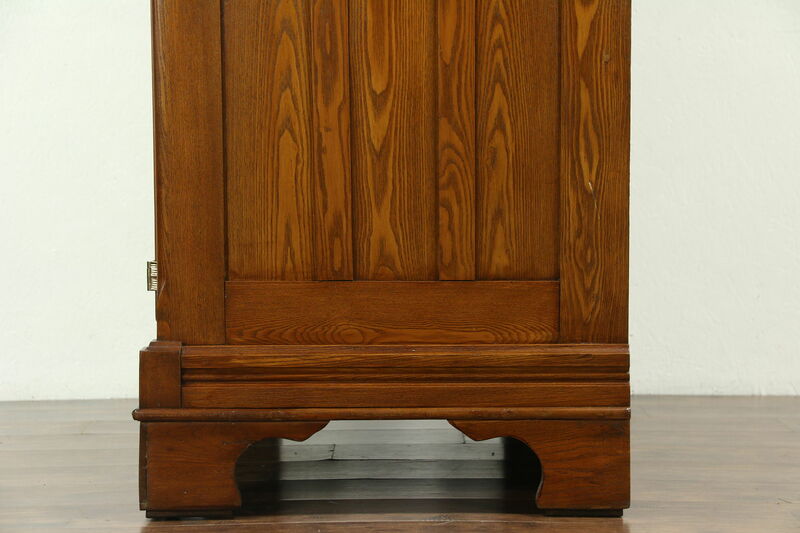 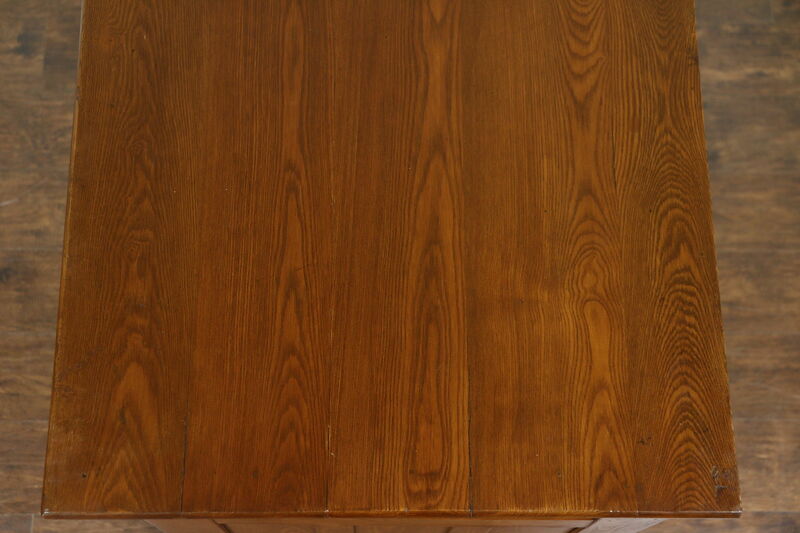 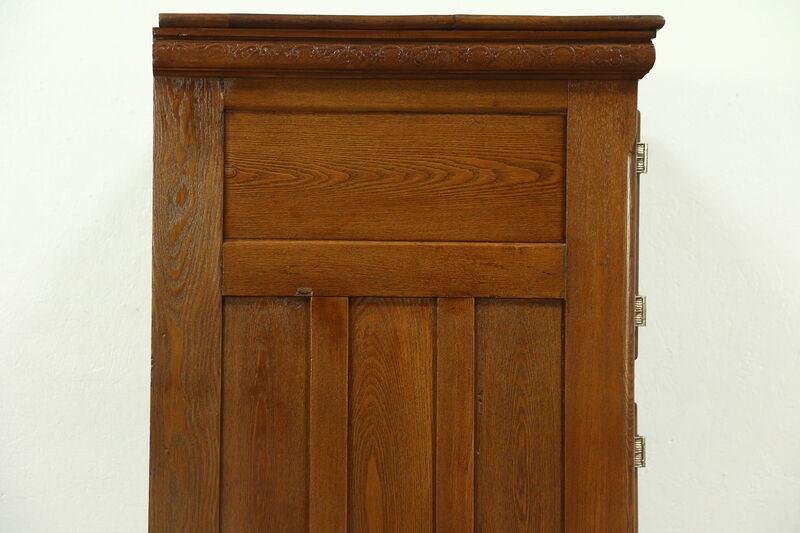 The restored finish is in excellent condition on this antique American made kitchen pantry furniture. 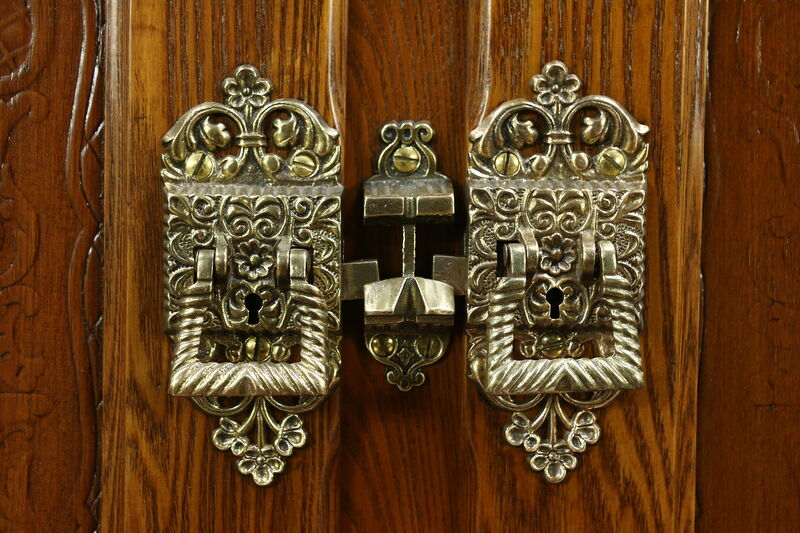 Elaborate cast solid brass hardware is original, as is the tin interior. 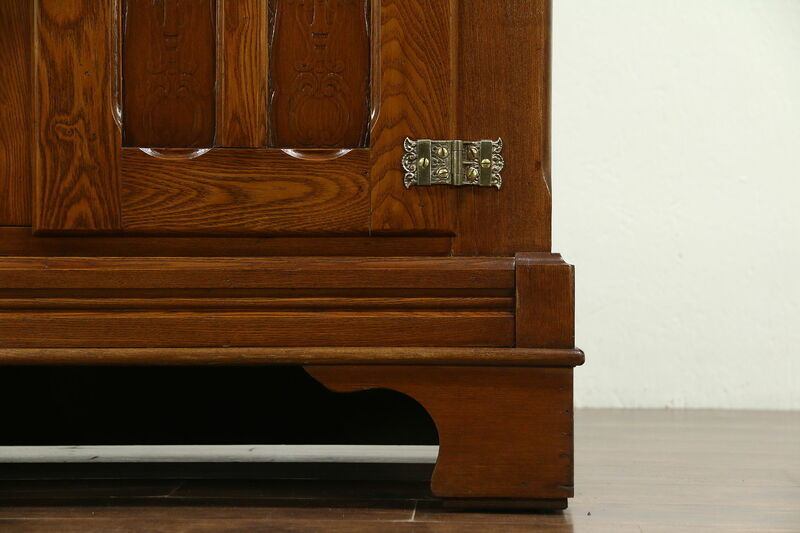 Measurements are 43" wide, 27" deep and 57" tall.